Morn, a symbol for vitality and stamina, brings warmth and light, as much as life, to the earth. This is why we adopted the name “Morn”. 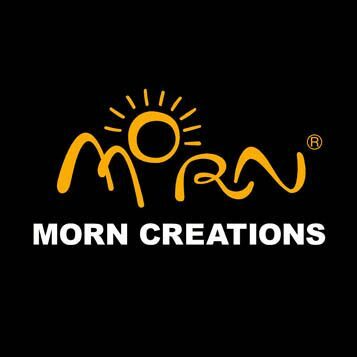 “Morn Creations” wishes that each and every piece of our unique design brings out and disseminate this positive message, with a right attitude about life. Senseless killing of animals has become a cruel fact of our modern society. In almost every aspect of our life, humans are depriving the right to life of all kinds of animals, using animals to satisfy our endless needs. This is the source for all violence and unrest. All Morn Creations designs have an underlying animal protection theme. The most direct and effective way of helping animals is to refuse using animal in our design and production as well as to object using animal skins to make any profit. We also like to feature endangered species in our designs since the extinguishing of any species will lead to imbalance in our earth. Through our products, we wish to spread out the clear message for protecting life and respecting life for all animals. Copyright © All Rights Reserved by Morn Creations | Dakara Spree. Powered by Blogger.